Show someone you?re thinking of them with a charming presentation ? 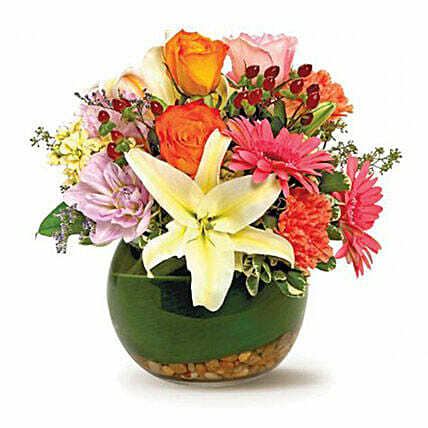 this mix of pretty blossoms in a blend of warm-weather colors, tucked into a bowl lined with leaves and river rocks. A truly considerate gift.